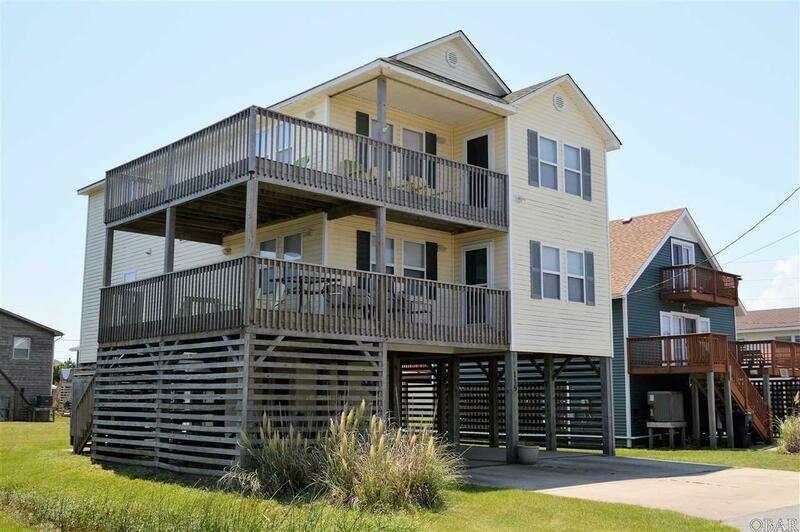 This well maintained home has 4 large bedrooms and 3 bathrooms and is located in the heart of Kill Devil Hills. There are two large living spaces on both the fist and second floors. There is a covered deck as well as a deck off the top floor for catching the sun and enjoying views of the ocean. Location is great for biking or walking to the beach, Avalon pier and numerous restaurants. This is a great home for an investment property, second home or primary residence.